It’s Friday! How about some new/recent vinyl releases to kick off the weekend? 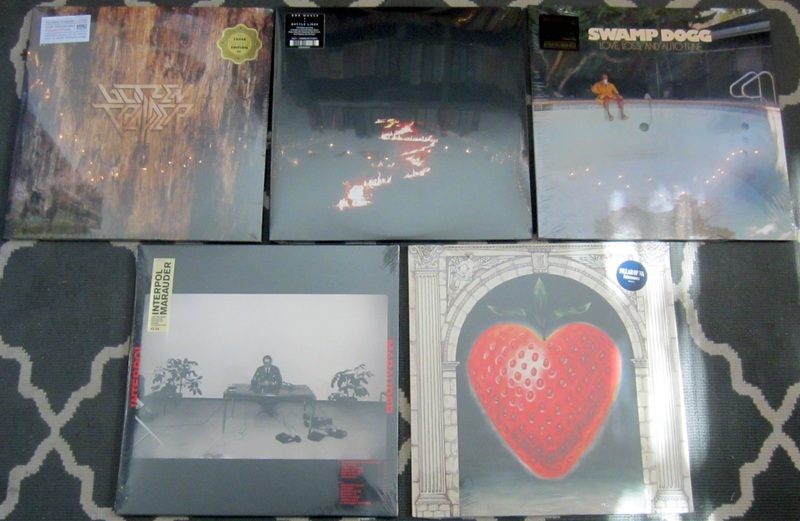 We have the latest from Swamp Dogg, Bob Moses, Saintseneca and Interpol in stock now, plus the 10th Anniversary Deluxe Edition of Blitzen Trapper’s “Furr” has hit the shelves. There’s a big list of restocks and additions below the new release info. Let’s get to the new stuff right now! A decade on from the release of Furr, Blitzen Trapper have released five more critically acclaimed and achingly beautiful records. The band hasn’t loosened its ambitions, either. In 2017, the band put together Wild And Reckless a full-production theater event that ran for a month at Portland’s Center Stage theater and which also spawned last year’s full-length of the same name. There are plenty of plans for the future in the works, too. But for now, just for a little while, it’s time to revel in the joy and sorrow of a time and place that no longer exists—except of course, in a few hearts and minds, and in these wonderfully wistful songs. Soundtrack O Brother Where Art Thou? July 19, 2017 Fresh Spins from Shabazz Palaces, Kendrick, more Brave New Waves Sessions and More, More More!! !